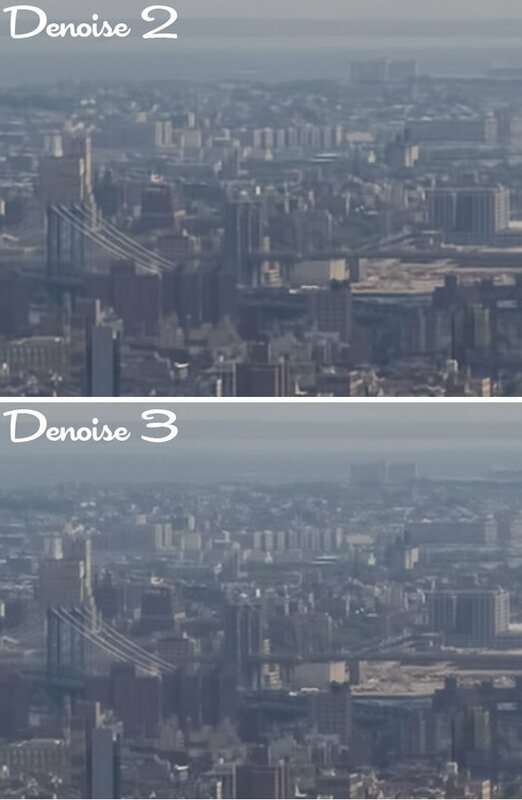 Home »Photography»Review: Topaz Labs Denoise 3 – Wow!!! I have been a fan of Topaz Labs Denoise 2 for a while. In my recent comparison of the top 3 noise removal programs, Denoise proved to be one of the top programs at removing noise while retaining details and minimizing significant halos. Topaz Labs just introduced Denoise 3 and it is now clearly the leader of the pack! Denoise 3 added a new interface, as well as new features. 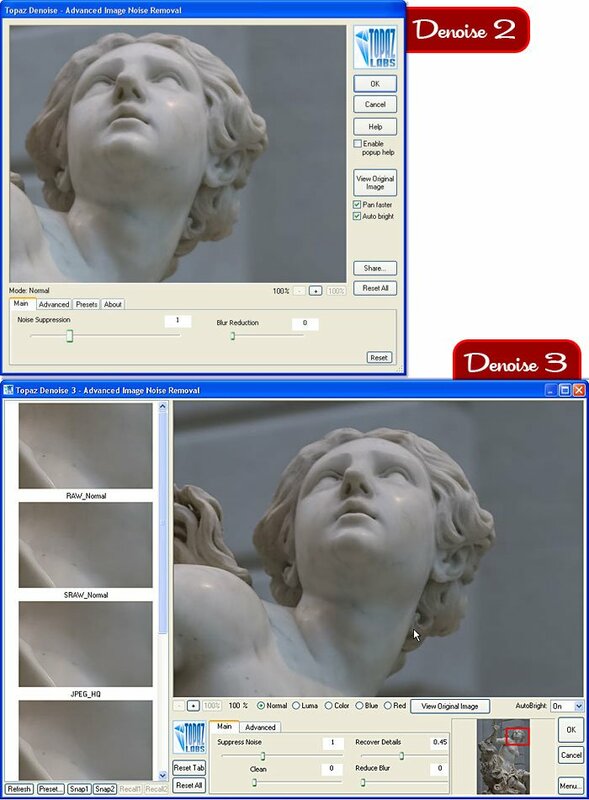 When Denoise 3 is launched, it examines the entire image and automatically adjusts the settings to reduce detected noise while preserving details. Of course, you can further tweek the settings as you desire or start from scratch or start with one of the pre-sets on the left. The above image is an enlargement of the image I used in my review of the Sigma 50mm f/1.4 lens. The cropped image is already soft and with low contrast. It could easily be reduced to mush by over-processing. Both images started with Denoise in its default settings and tweeked to the best results. You can see fine details in the Denoise 3 image that were removed or softened by Denoise 2. Very subtle without over-sharpening, Denoise 3 remains true to the original image. It even seems faster when processing the image! Denoise 3 is impressive. It is a free upgrade to purchasers of Denoise 2, and is available as both 32-bit & 64-bit plugins. It even supports multiple CPUs. Topaz Labs has a video demo available on the site and a trial version. Next → Next post: Topaz Labs Denoise 3 – tough on digital noise!